The club is based in the Phoenix area, but has members all over the state and country. The founding members of AZXC are a group of friends that get together regularly to have some fun and enjoy each other's company. They all ended up buying Xterras within a six month period. From then on when we've gotten together, we've always joked about it being a meeting of "the Xterra club". Well it's not a joke anymore. Here we are, AZXC. The club was initiated to bring other people with the same interests into the group. Sort of a "the more the merrier" attitude. Other than the fact that the Xterra is the coolest SUV on the market, we all (this includes you) bought a Nissan for a reason. Maybe it's to go out 4 wheeling, taking a boat or ski to the lake, taking a sand rail to the dunes, pulling some ATV's, camping, mountain biking, hunting, fishing, or whatever, but we all did it for a reason. Well, those interests can be shared with other people that have the same interests. That's what we're all about, that's why AZXC. We do what the group wants to do. It may be as simple as getting together for an evening out to dinner and as complex as a 3 day weekend trek across some the beautiful back roads of Arizona. It's open to whatever ideas the group comes up with. Maybe a day at the lake, a trip to the snow (yes, there really is snow in Arizona), a day of four wheeling, an overnight campout, a trip to the dunes, visiting the Grand Canyon, having breakfast in Sedona, or maybe getting together with another one of the Xterra or Nissan clubs from another state for a "meet and greet". It's wide open, anything goes. Of course in every activity, some members will have interest and some won't. Not everyone will make every Xcursion, but that's OK, the opportunity will be there. So enjoy the things you like to do. $25 per year per Xterra. You may include your family all on one membership. The club is a non profit organization and we do incur some minimal expenses. For example: the operation of this web site, business cards for promoting the club, flyers, and other "operating" type expenses. No one uses money from the club fund for other than these reasons unless it's voted on by the club. 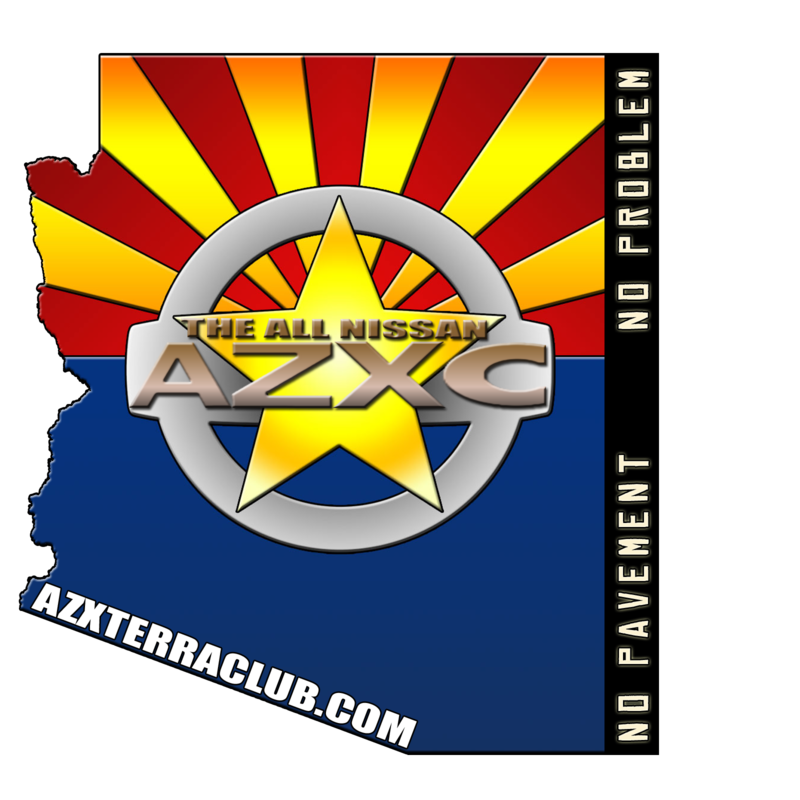 Every member will receive an AZXC sticker to display proudly on their vehicle, be able to enter into raffles (we give a way a ton of stuff from our sponsors) a great new group of friends, and a whole lot of great AZXC Xperiences. Other benefits will include discounts on Nissan and other manufacturer's parts and Xccessories.